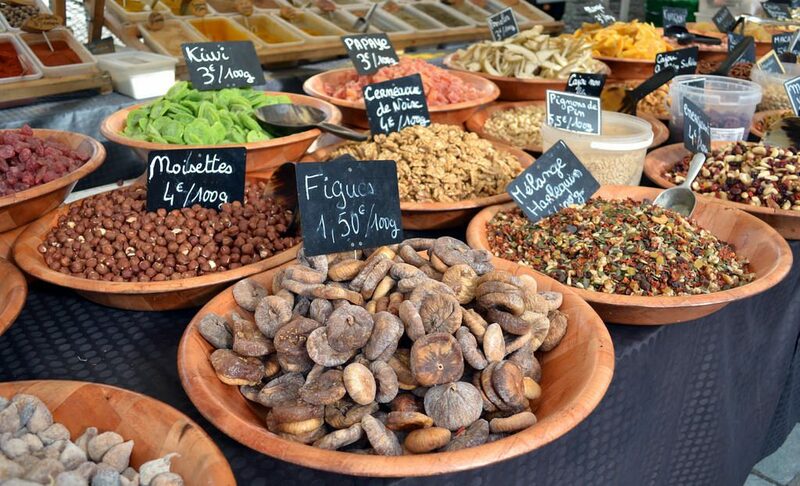 Corsica’s shared history and proximity to Italy is evident in the country’s cuisine. The common use of the chestnut goes back to a decree issued in the year 1548 during the Genoese Republic that each Corsican landowner must plant at least one chestnut, mulberry, olive and fig tree. A later decree, in 1619, upped the planting requirement to ten chestnut trees every year. This resulted in quite a number of chestnut groves and forests and secured the chestnut’s place in Corsican cuisine. Pasquale Paoli, who is widely considered a father and hero of the Corsican people, was often called the ‘General of the potatoes’ due to his attempts to encourage the cultivation of the potato. Another interesting result of Corsica’s history is the dominance of meat over fish in the cuisine. Although excellent quality fish is readily available on Corsica, as it would be on most islands, the Corsicans historically inhabited the mountainous interior of the island, attempting to evade the numerous pirates and marauders who frequently appeared on their shores. Consequently, Corsica was never what you would call a nation or island of fishermen. 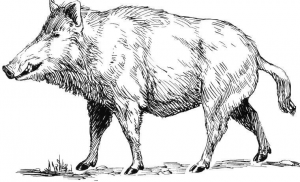 Wild Boar, or sanglier, is very common and the Corsican ‘signature dish’ may well be civet de sanglier, a wild boar casserole made with onions, carrots, chestnuts, eau de vie and red wine. Other common meat dishes include Corsican lamb, slow roasted with potatoes, garlic and rosemary and veal with olives. Red mullet, sea bream, crayfish and oysters are all available, but trout from the pristine mountain streams are abundant and enjoyed roasted on a hot stone or stuffed with Corsican cheese. Speaking of cheese, the most Corsican cheese is a ricotta-like soft cheese called brocciu. It is made from sheep or goats milk and can be enjoyed fresh or aged. 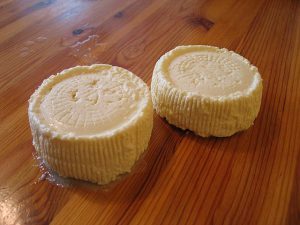 Brocciu appears in quite a few Corsican dishes, but is one of many varieties of cheese produced on the island. 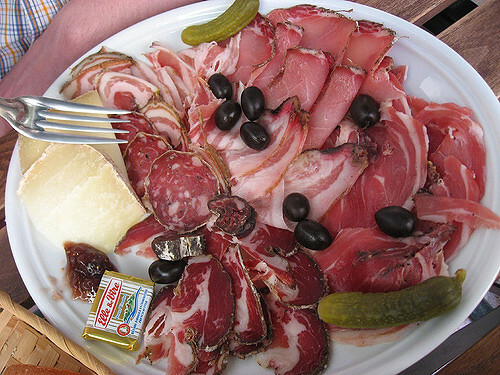 There are likewise, many varieties of cured meats, or charcuterie. The patés, sausages and cold cuts are of an outstanding and distinctive quality, which is in part due to the cross breeding of boars and pigs which are raised on a diet of chestnuts. Figatellu is a popular smoked pork liver sausage. It is smoked for three or four days and then dried. Italian influence is clearly evident in Corsica’s popular pasta dishes and soups. Ravioli and cannelloni stuffed with brocciu are common, as is the minestrone-like zuppa corsa. Not surprisingly, some of the most loved desserts are prepared with chestnuts or chestnut flour. Fiadone is a cheesecake containing chestnut flour which is served chilled. 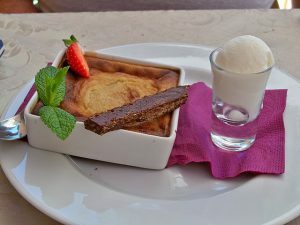 Another common dessert is the chestnut tart, or flan a la farine de chataigne. 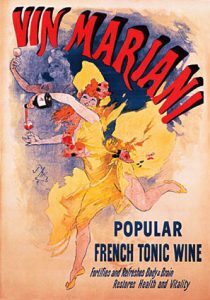 creating Mariani’s Tonic Wine. It was made from wine and coca leaves and was popular with everyone from European royalty to Thomas Edison, Ulysses S. Grant and a couple of the popes. It was the inspiration for the ‘French Wine Cola’ created by a Dr. Pemberton from Atlanta. His version became very popular as well. With the event of prohibition, a non alcoholic version was created (and subsequently a non-cocaine version), and as you might guess, what we ended up with was Coca Cola. 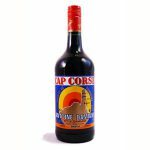 Although they are not so easy to obtain elsewhere, Corsica produces a wide variety of excellent wines. Two of the most common of the many local grape varieties are the Vermentino, used in producing white wines, and the Nielluccio, used in red and rosé wines. Fiera di u Vinu is a popular wine festival held yearly in mid July at Luri in the Cap Corse region. 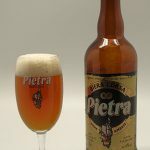 Popular local liqueurs include a red myrtle liqueur, acqua vita, the traditional local brandy, and, of course, a chestnut liqueur. 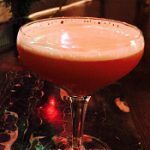 Our beverage creation this month is a delicious combination of gin, cassis, lemon and almond syrup. An egg white gives it a beautiful frothy and velvety texture. Shake all ingredients vigorously with ice. Strain into a coupe glass.